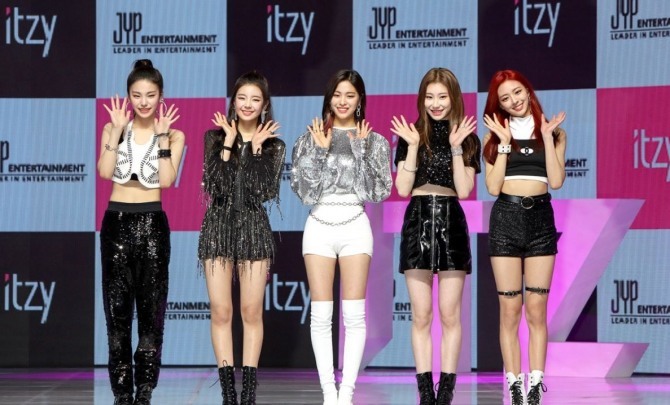 ITZY, the highly anticipated new girl band under JYP Entertainment, declared with confidence its ambition to become an “unprecedented” success as a rookie group. As newcomers on the scene and the first girl group coming out of JYP since Twice debuted in 2015, Chaeryeong, Yeji, Lia, Ryujin and Yuna held a press showcase in Seoul on Tuesday for their debut single album, “IT’z Different.” At the event, they talked about their ambitions and future goals. 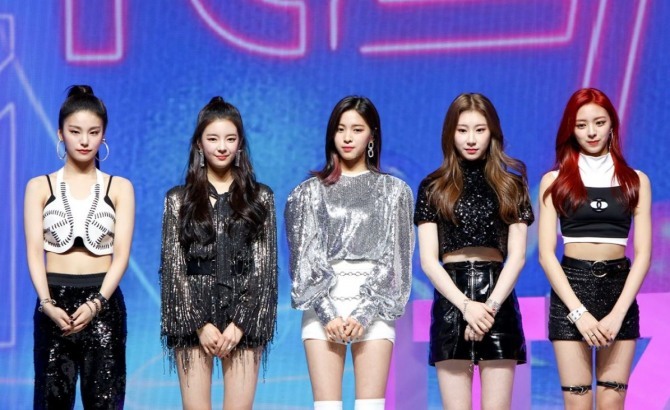 The group’s name means “got it” in Korean -- reflecting the idea that “ITZY’s got everything you want.” Some of the band members have already appeared on several K-pop audition shows. “We received lots of attention and spotlight before our debut, and we will do our best to repay all the love. We will also try not to leave any scratch on the reputation built by senior K-pop groups,” Ryujin said. The act’s efforts to differentiate itself from the herd is also shown in the single’s vibrant music video, where the girls showcase their badass vibe while clad in flashy sequined outfits. ITZY is just getting started, but the rookie band already has one important accomplishment to its name: The music video for “Dalla Dalla,” released prior to the band’s debut, received over 14 million views within 24 hours of its release on YouTube. The record made ITZY the first-ever K-pop act to surpass the 10 million view mark within 24 hours on YouTube. “We hope to make 2019 our year, and we hope to receive a rookie award,” Yuna said.